“If you can’t run at 60 [frames per second], you’re not a good racing game.” Dan Greenawalt said that at last year’s E3. It was a typically cocksure statement from the Forza franchise director, clearly pleased that Forza 3 did just that – it purred along at an ultra-smooth 60 frames per second. So is Codemasters’ thinking along the same lines for the forthcoming F1 2010? In a word, no. 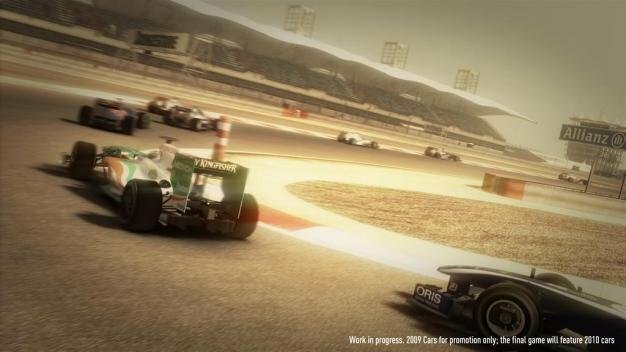 Speaking to TVGB at the world-exclusive reveal of F1 2010 in London today, Codemasters’ Communications Manager Andy Gray said that 30 frames per second is more than enough. After a few laps with an ultra-early alpha build of the game today, we wouldn’t disagree. Look out for our impressions on TVGB soon.